Welcome to another Featured Friday! 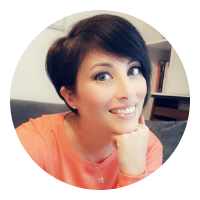 Today I'm spotlighting author Ashley Howland. Ashley Howland lives in Adelaide, South Australia. She and her dogs, Obi and Stitch, work for Labs ‘n Life, a nonprofit organization that works with youth at risk to train Labradors as autism assistance dogs (www.labsnlife.com). She is inspired to write by her husband Ross, her daughters, Maddy and Aijay, and of course, Obi and Stitch. They are a constant, endless source of material and happiness. She is also the author of Ghostnapped. Her next two books are The Homework Goblin, for young children, and a novel for teenagers titled It’s What You Do Next That Counts. Get ready for a ghastly, ghost-hunting mystery that will chill the very marrow in your bones! Ashley Howland makes her debut with a sensational spectral adventure that will ‘fright and delight’ kids and teens everywhere. Ten-year-old Alex loves to explore, but when her younger brother is mysteriouslyghostnapped on their camping trip at the beach, it is up to Alex and her trusty Labrador, Thuds, to investigate her brother’s sudden disappearance. As she surveys the grassy hills and dangerous rocky cliffs near their camp, Alex uncovers a hidden secret to other disappearances that occurred at the very same campsite – over 50 years ago! 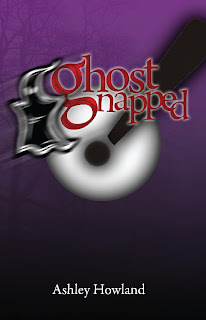 A chilling mystery that can only be solved by Alex, Thuds, and a ghost girl named Susan,Ghostnapped! explores mysteries of the past, present and beyond the grave. Everyone thinks their dog is the smartest one around. But Obi really is! Obi the Super Puppy and the Mystery of the Red Mist tells the story of one amazing dog. Obi, a beautiful yellow Labrador, loves adventure, helping people and solving mysteries. He also loves reliving his past adventures with author Ashley Howland’s kids, Maddy and Aijay. 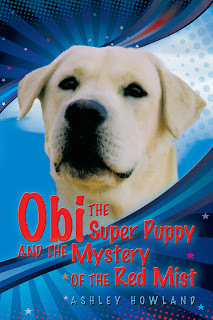 Obi the Super Puppy is the exciting story of Obi’s first adventure, where he encounters a mysterious, evil red mist. Whenever the mist appears, it is able to control animals and toys. Who is behind the evil red mist? Can Obi and his friends save the day before it’s too late? Join the kids as they listen to Obi’s story and are amazed at how their faithful friend became a real super puppy! If you love dogs, you will love Obi the Super Puppy. looks great, thanks for this opportunity!